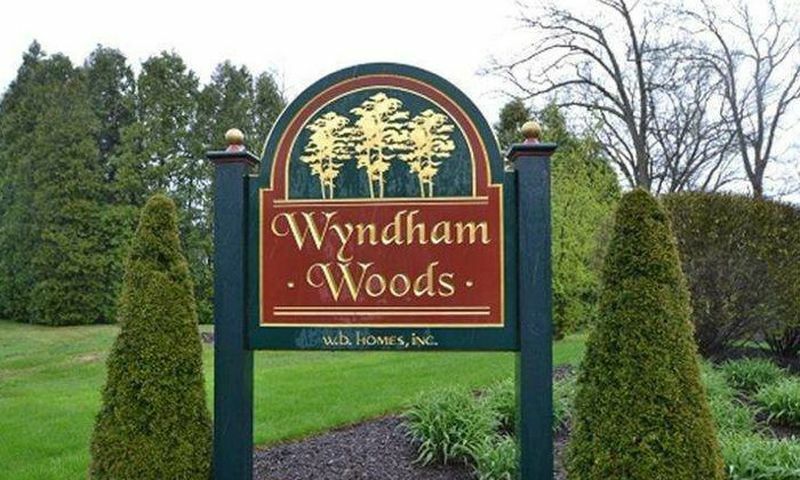 Wyndham Woods is a charming 55+ community in Hatfield, Pennsylvania. Situated in Montgomery County on Wyndham Woods Way, this picturesque active adult neighborhood offers a relaxing and carefree way of life. Retirees and working adults alike can select a resale townhome that s perfect for downsizing. Residences include low-maintenance exteriors, giving homeowners more time to enjoy attractions nearby and far. Wyndham Woods is a beautiful community with mature trees and lush landscaping. Homeowners can enjoy this scenic neighborhood by utilizing the trails for a brisk morning walk or invigorating jog. The tree-filled pocket park is the perfect location to meet neighbors for a summer picnic or to read a book under a shaded outdoor area. Wyndham Woods consists of 68 attached homes built by W.B. Homes between 1999 and 2001. Two models, with a base square footage of just under 1,500 square feet, can be found on a resale-only basis. Homebuyers are drawn to these ranch-style homes that offer main-level living and low-maintenance exteriors. Homes within Wyndham Woods have at least two bedrooms and two bathrooms. The Wyndham model has a two-car garage while the Weybourne model includes a one-car garage. Wyndham Woods has an established homeowners association (HOA) that allows homeowners to enjoy low-maintenance living to the fullest. A quarterly HOA fee includes common area maintenance, lawn maintenance, as well as snow and trash removal. This age-restricted neighborhood in Montgomery County, PA fosters the perfect environment where residents can take advantage of living in a great location among like-minded neighbors. This age-restricted community is located east of West Orvilla Road on Wyndham Woods Way in Hatfield Township. It is a 55+ neighborhood close to Route 476 and other attractions. Hatfield Township has more than 100 acres throughout a dozen parks that range from dog parks to nature areas. Residents are welcome to attend many of the township events hosted throughout the year like the Winter Blast at Montgomery Mall, the Artisan and Heritage Fair at the Hatfield Township Municipal Building, and a series of summer concerts at School Road Park. Wyndham Woods is a desirable 55+ community an hour away from Philadelphia. Check back soon for more information on the lifestyle in Wyndham Woods. Wyndham Woods consists of 68 ranch townhomes built between 1999 and 2001. These attached residences were built with two bedrooms, two or three bathrooms, and an attached one or two-car garage. These low-maintenance residences were developed in two floor plans that have a base square footage starting at 1,450 square feet. Wyndham Woods is a pretty nice community if you like privacy and quiet neighbors. There isn't a clubhouse so if you want to spend time with the people here you need to make an effort. We've made some good friends here and like just getting out for a short walk, going out for coffee or meeting up at someone's house for a nice dinner or game night. 55places.com is not affiliated with the developer(s) or homeowners association of Wyndham Woods. The information you submit is distributed to a 55places.com Partner Agent, who is a licensed real estate agent. The information regarding Wyndham Woods has not been verified or approved by the developer or homeowners association. Please verify all information prior to purchasing. 55places.com is not responsible for any errors regarding the information displayed on this website.